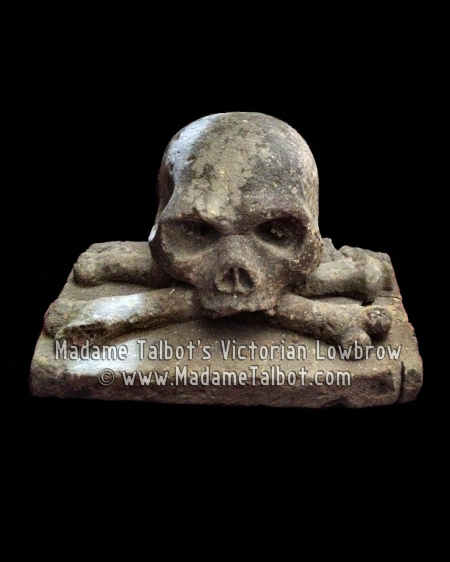 Beautiful hand-carved Medieval skull and crossbones. This originally came from a Medieval castle in Germany and was gifted to us from its previous owner. The photo is from when it was used as a tombstone on the husband's grave.